Need some advice and opinions on the Asg AW.308 L96 sniper rifle. I haven't had my hands on one of these and wanted to get some information about them before I purchase one. Info and advise would be much appreciated. As far as I know, it's a licensed version of either the Well, or the Maruzen L96, so I assume it's compatible with APS2 upgrade parts. 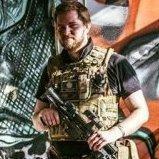 If you want the low down, then drop Dazz a personal message, he's the owner of Airsoft Sniper Parts UK, so you're not going to get a much better person to talk to about it than him. Sounds pretty promising, thanks for the help mate. Will give Dazz a message. I've held one-Its a licensed version of the WELL Warrior l96,which is a maruzen aps2 clone,just as Ed said. Quality, saves a lot of time when it comes to upgrading it. thanks.